Swiss / LA based developers apelab have announced their latest project for Gear VR. It’s called ‘Break a Leg’ and it puts you in the top hat of an “improvised magician” as he strives to entertain his audience. Here’s the game running with the soon to be released Gear VR motion controller. 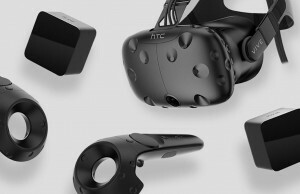 The problem with peripherals, especially those which launch after older iterations of the original hardware, is of ensuring good and sustained software support. 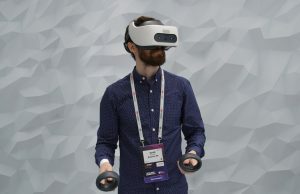 The latest Gear VR headset will have its own dedicated motion controller, as announced at this year’s MWC and detailed at last week’s Samsung ‘Unpacked’ event. 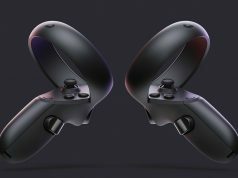 Therefore, it’s important that Oculus and Samsung manage to entice developers to build compelling software for the controller, in order for the companies to avoid the chicken/egg situation of poor developer support leading to poor adoption and so on. 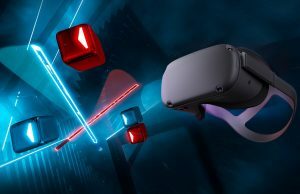 To that end, apelab have just announced a new Gear VR title built for the new motion controller, and the trailer for Break a Leg gives us more footage of the device in action. As you find yourself trapped in the backstage of an ancient theater, you are prompted to improvise a magic show without missing a beat. For centuries the owner of the Intergalactic Grand Theater has been kidnapping human illusionists, desperately looking for one capable of mastering the Greatest Power of the Galaxy as stated in the Ancient Book of Stellar Tricks. 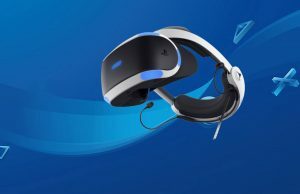 It’s a refreshingly original idea, and an ingenious way to utilise and encourage users to learn the new motion controller on the Gear VR platform. The actions performed with the new device – which derives input information via onboard sensors and doesn’t benefit from any absolute positional tracking – looks surprisingly effective in the trailer, although some actions by the player seem to be slow and deliberate, perhaps to hide the device’s shortcomings. 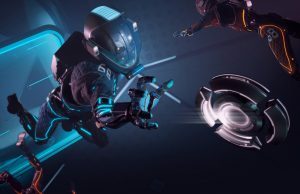 The project a collaboration with Oculus themselves, and apelab have confirmed the title is co-funded directly by Oculus and Swiss TV network RTS SSR. 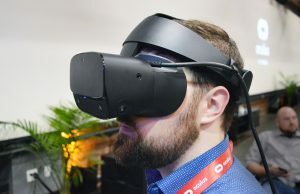 Clearly Oculus see the new motion controller as integral to the evolution of theirs and Samsung’s mobile VR platform – as evidenced by the promotional material released last week. The new Gear VR headset and controller will be available together for $129 from April 21st, but if you’re considering pre-ordering Samsung’s latest S8 mobile phone, check out the offer Samsung currently has to snag the VR devices free alongside your purchase. Break a Leg meanwhile will be launched via Oculus Home for Gear VR later this year. 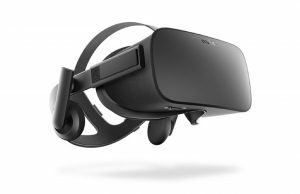 What’s the general feeling towards Samsung and Oculus’ approach to motion control here? Too much compromise? Right level of cost / performance ratio? I don’t see any compromise here. It’s pretty much the best solution they could feasibly come up with. 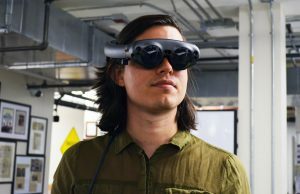 Also a staggering amount of users use the GearVR exclusively for demoing VR videos and doing real estate or architecture walk throughs (better than the Rift or Vive for those uses). The hand controller significantly improves the experience for users with that use case. “It’s pretty much the best solution they could feasibly come up with.”, precisely. So by definition it’s compromised compared with a more advanced (albeit in this case) unfeasible solution (i.e. Lighthouse). Perhaps that wasn’t the best term to use. Generally speaking, even input that’s 95% reliable, is still 5% short of being good enough. But that of course depends on the application and implementation. It is still 95% better than no input at all. 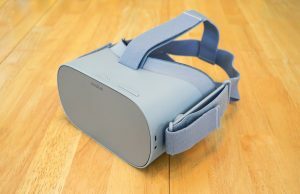 But does the Galaxy S8 also support Daydream? 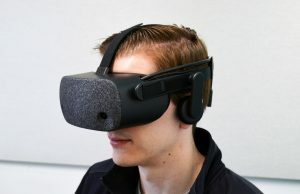 I think Samsung and Oculus are approaching mobile vr incorrectly. 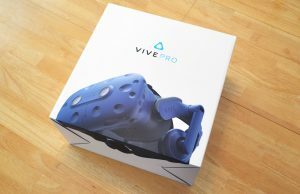 They are basically trying to bring desktop vr experiences into a mobile platform. And it’s obvious that they don’t translate well. This is very akin to trying to bring pc games into smartphones, it didn’t work if anyone remembers. Smartphones ended up having a different kind of games (aka mobile games) which only works/makes sense on smartphones. The same goes for mobile vr. 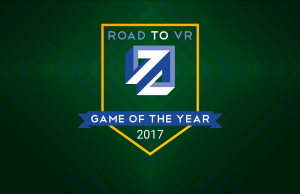 To be successful, it needs a different kind of games that is built from the ground up for mobile vr. 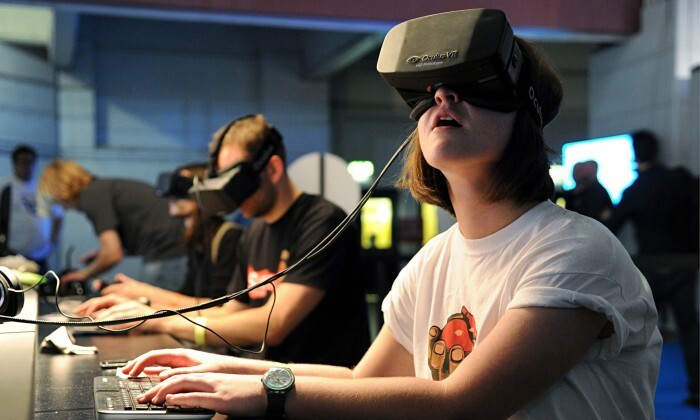 The Gear VR predates the consumer versions of the Rift and Vive. The store is filled with games designed for a mobile platform. 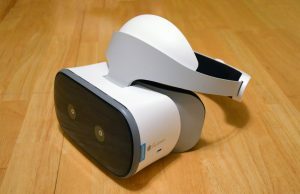 Nobody is trying to bring desktop VRexperiences to Gear VR. 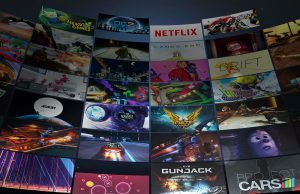 FPS games were a thing on Gear VR when the Rift and Vive were still in labs. I wish did. 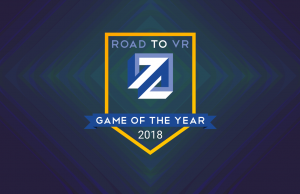 I’m not claiming to know what real mobile vr game looks like. All I know is what currently available are not it. But more importantly, and what you failed to understand from my previous comment, they not moving in that direction either. 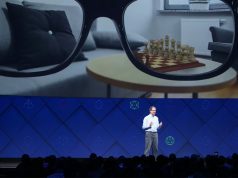 This is evident by the inclusion of motion controller mirroring that of desktop vr instead of a more natural input we see in ar. the samsung galaxy s8 has an antutu benchmark score of 205’000, a desktop pc with an nvidia 750ti gtx has an antutu score of 250’000. There’s no reason why mobile vr shouldn’t aim for the stars now.